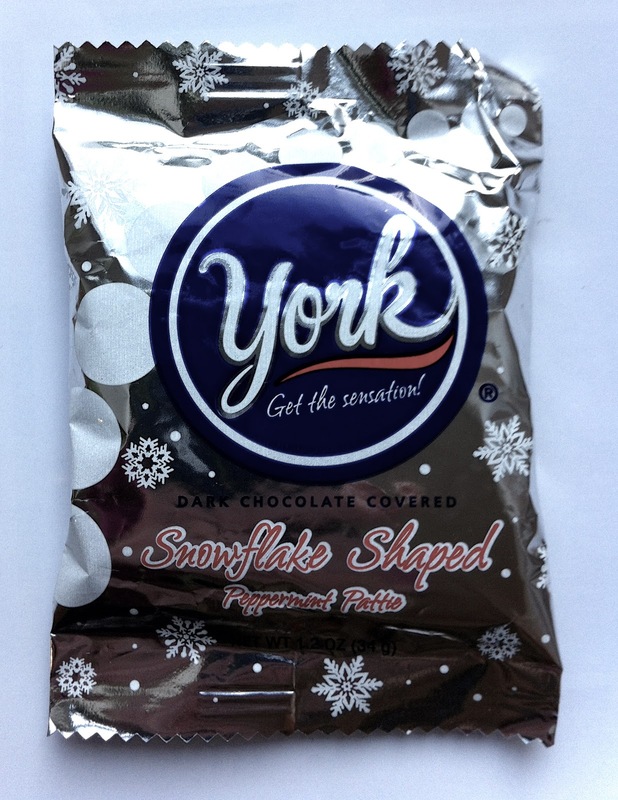 The York Peppermint Pattie Snowflake consists of the usual York fare but at a larger size. In a utterly non-scientific approximation, I'd bet you could fit about 2 1/2 traditional patties into this snowflake. 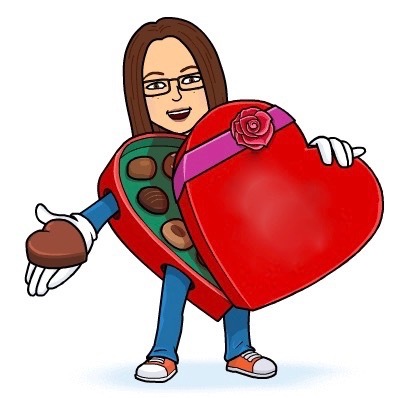 And as far as York Peppermint Patties are concerned, the more the better. There are simply never enough. I'd also like to applaud York for putting out a holiday-themed treat that is non-denominational. This is identified as a Winter snowflake, and it's an elegant snowflake design. 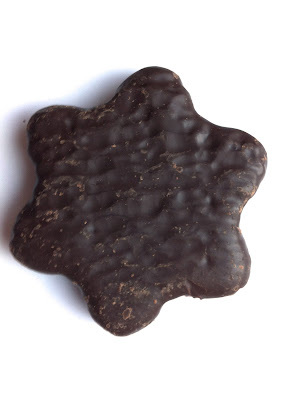 However, an astute reader might notice that it also resembles a Star of David. As there is almost no Hanukkah themed candy mass-marketed (except gelt, the "chocolate" coins- and calling that waxy substance chocolate is really pushing the limits) in the United States, it's refreshing to see a holiday candy that can also take part in Hanukkah celebrations. 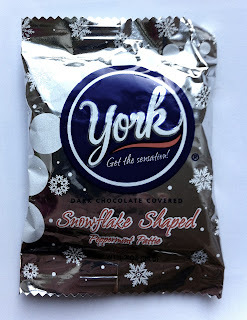 So whether you're celebrating Christmas, Hanukkah, New Years, or simply the Winter season, these York Snowflakes cover all your bases. YUM!!!!! I am still searching for those Dots with the vanilla therein, though.